If you’re just looking for a list of free software to install on your computer, I’ve created a Springpad notebook full of links to my favorites. If I find anything else to add, I’ll put it there. Having said that, here are the chronicles of my recent adventure procuring and setting up my new laptop. I’m going to break this down into three separate categories: Hardware, Pre-installed Software you Don’t Need, and Free Software you Might Need. Lucky for you, I’m all about free, open-source and simplicity; so the only part that I spent money on was the hardware. I’ve designed this as a sort of guide to assist YOU in purchasing and setting up a new computer. People are always looking at my glasses. After they get a good look at my glasses, they say, “Hey, I need a new computer. What kind should I get?” People with new computers are always asking me, “Is it better to just use Internet Explorer, or should I get one of those new browsers?” Also, it has been my own experience that just using all of the default software (that ships with the system) for document editing, virus handling, and many other tasks is a bad idea. So, here are all of my answers and tips in one place. This may not be the definitive guide to getting a new computer, but it is MY definitive guide for those who need it. So, without further chit-chat, let’s look at your hardware options. This one’s easier than you might be inclined to believe. Sure there are a lot of choices, but it all comes down to what you want to use the computer for. The computer I wanted this time around was a laptop I could actually take places. Last time I got a laptop (over five years ago) it weighed ten pounds, it was more of a desktop replacement and cost me over two thousand dollars. Now I’ve got a desktop, and I wanted an inexpensive computer that could go places with me AND do stuff. I’ve got an Asus eee PC (a netbook), but that thing can’t really do stuff. I mean, it can do some stuff (I use it for NaNoWriMo every year), but it’s a little wimpy when it comes to multitasking and other processor/RAM intensive activities. First, if you’ve got the space for it and you don’t need to move it, get a desktop. Laptops have really gone down in price lately, but an equivalent (as far as hardware and capabilities) desktop will always cost less than its laptop counterpart (as of this writing). Desktops have the greatest range in options as well. You can get a cheap-o system that is really only good for running your web browser and a word processor for under a hundred dollars, or you can pay tens of thousands of dollars for systems that can perform at speeds rivaling supercomputers. No matter what you’ll be using the desktop for, you can always find a system that perfectly meets your needs without spending more than you have to. Always. The first step in selecting a desktop is to imagine yourself using that computer for the next two years. What will you use it for? Do you play many games? You might need to spend more for a system that will be compatible with future game releases. Will you be hooking it up to your TV to watch shows and movies? There are a lot of media center pc options. If you’re a Mac person (which, I might be if I had more money), you might want an Apple TV rather than a new computer. Just decide what you’ll need the computer to be able to do, and consider these simple guidelines (which, unless you’re a “power user,” will more than cover the basics). I don’t need to say it, but if you know enough about computers to know that these guidelines aren’t comprehensive, then these guidelines weren’t written for you. RAM – For most users, this is arguably the most important decision. More RAM means faster, smoother, more powerful computing. You want to open and use every program installed on your computer at the same time? You need lots of RAM. Will you only do one thing at a time for the rest of the time you own the computer? You can get by with 2 Gigs or less (depending on that one program you’ll be running!). Operating System Bits – Related to RAM, but separate, is the operating system you’ll be using. Right away I have to mention that a 32 bit operating system cannot handle a full 4 Gigabytes of RAM, and certainly not more. If you will want 4 Gigs or more of RAM, you’ll need a 64 bit OS. Otherwise, 32 vs 64 bits will not have much of an impact on you. Operating System Flavor – Which OS you choose will depend on many factors, but at the risk of bringing on hoards of criticism, I’m going to go ahead and simplify things this way: If you’re lost when it comes to choosing your operating system, just get Windows 7. Sure, Macs are simple, but getting software for them can be a hassle. Windows may have a poor track-record when it comes to stability and ease of use, but I’m putting a lot of faith in Windows 7, and I think it’s a safe choice for YOU. If you know you want a Mac though, please get it! Processor – When it comes to desktops, you’re really only going to concern yourself with how many cores and processors you want. Adding processors and cores means better ability to process multiple instructions at a time (translating to blazing speed and excellent multitasking), while a single core on a single processor will more than meet the needs of most users. Don’t get the fancy processor set-up unless you know you need it. For most modern operating systems and software, though, I recommend at least a single processor with dual cores. More than that and you’d better be doing some serious video editing or 3D graphics (like games). Hard Drive – If you’re doing video editing or if you’re archiving your DVD collection on the hard drive, get something huge. If you’re just surfing the Internet and writing papers in Word, you don’t need much hard drive space. Even the smallest hard drives shipping these days are more than ample for the average user. Note that media center systems should have more hard drive space to store videos or recorded television. Sure, there are more factors than just these to consider, but if you’re not a power user who already knows about the other factors, then you don’t need to worry about them. What you don’t know can’t hurt you here. The only other thing I would caution is to avoid brands you’re not familiar with and be wary of prices that are significantly lower than competing systems with similar capabilities. Your desktop shouldn’t be too expensive, but don’t be a cheapskate once you know what you want. Just pay what the trusted manufacturers are charging. 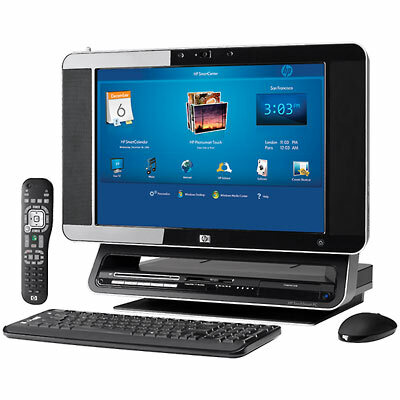 I currently use a first generation HP TouchSmart for my desktop, and it’s held up very well in the two years we’ve owned it. Both of my laptops are Toshibas, and we love them. Namebrand systems are always a good bet. The only problem with a desktop is that it is not very portable. Sure, some of the newer CPU box form-factors (especially in the case of media center computers) are very small and lightweight. However, the screen and input devices are not built in, thus to use the system it must be hooked up to these things, and to move it you have to unplug everything. Convenient? No. I thought I could get a netbook and do the same things with it as I do with my laptop. I was wrong. Even with a full size keyboard attached and an external mouse, the netbook screens are too small to be practical in a number of applications. For a true, natural computing experience, you’ll still want a larger system. 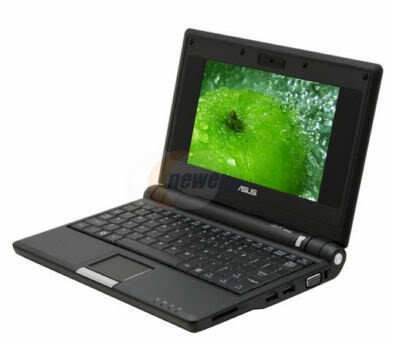 They make laptops that are much closer in size (and price) to netbooks, but they are much more convenient. If you’re not sure about getting a netbook, don’t. Just go for a smaller laptop. I promise you’ll be happy with it. If you know you want a netbook, get it. If you’re not sure, don’t. You’ve got to be committed to liking your netbook, or you’re going to hate it. Overall Size – You’re getting a laptop because a desktop isn’t portable enough for you, but how portable do you need your laptop to be? If you are still just going to leave it set up in one place for long periods of time, you might consider a larger desktop replacement laptop. These systems offer the same performance as a desktop, at often competitive prices, but at the end of the day the screen folds up and you can pack it away in a bag. Expect these to weigh close to ten pounds though! Then there are the ultra portables that weigh in at under five pounds (mine weighs like three pounds!). Keep in mind that a netbook can weigh close to one pound, but you’ve already decided you want a laptop, right? Battery Size/Usage – Some laptops these days are being designed as marathon machines. They can squeeze almost a full day of usage out of a single charge, but that efficiency comes at a price (both in dollars and performance). Most laptops are designed to fully contain a six cell battery, but by doubling the number of cells to twelve (and subsequently, increasing the size of the battery pack itself, causing it to protrude out the back or bottom of the computer), you can double the life of the battery. Also, Intel and AMD make processors specifically designed to use less power. They usually run at far less than 2 Gigahertz, and they cannot handle too many big tasks like gaming and video editing as well. You could try, but if that’s what you need the system for (primarily) you’ll just have to charge the system more often. USB Ports – If you use a lot of devices at once, you’ll need at least three USB ports. I always recommend using an external keyboard and mouse with a laptop whenever possible simply because they can be replaced much easier than the built-in devices. The less you use them, the less likely they are to break. So, with a keyboard and mouse plugged in, you will want to have at least one more USB port for external hard drives, thumb drives, cameras or whatever else tickles your fancy. A few laptops only have two ports (one on each side), most have three, and a few have up to five USB ports. Get as many as you can without spending too much just for that feature. Also keep in mind that some USB devices have a special “Y” shaped cable that plugs into two USB ports. If you might need one of these devices, you’ll want a laptop with two USB ports that are close together, not one on each side. In my most recent purchase, I wanted something far more portable than my old laptop but more capable than a netbook. I went with a Toshiba Satellite, ultra thin system. This particular system (like most ultra thin, lightweight systems) does not have an optical drive (no DVD or CD drive). That wasn’t an issue for me because I knew that all of the software I could ever need I was going to download for free once I got it connected to the Internet. If you install a lot of software from disks but still want a system like mine, there are some great external drives that will meet your needs. I may end up getting one too so I can watch movies on my laptop, but for now I’m fine without an optical drive. The final hardware consideration is, what else do you need? Some people need lots of storage but end up choosing a laptop with a smaller hard drive. In that case, just get an external hard drive. Do you transfer a lot of files between systems? Get a thumb drive. Actually, I recommend that people get thumb drives even if they don’t need them for transferring files. They make a great place to keep backups of your most important files. The only thing I know you’ll need if you got a laptop is a mouse and keyboard. There’s no getting around it – using the laptop keyboard puts wear on it that could eventually require maintenance. If you use an external keyboard, and it breaks, you can just unplug it and get another one. 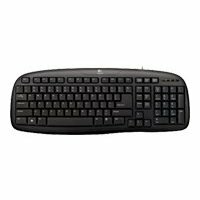 My favorite typing keyboard ever (that I’ve used anyhow) is the Logitech Classic Keyboard 200. It currently sells for $13.99 on Amazon.com, it is comfortable, and I’ve never had any problems with it. I love it. I do recommend spending a little more for your external mouse though. 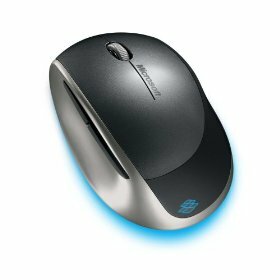 Touch pads are great for basic navigation and occasional clicking, but nothing beats a scroll wheel on the Internet, and when doing graphics work or gaming you just can’t live without a mouse. My current favorite is the Microsoft Explorer series. Specifically, my wife and I love our Explorer Mini mice. Amazon.com sells them for about $40, they retail for about $60, and there is currently a vendor on Amazon that is selling them for under $20 (with $4 shipping). The great thing about the Explorer mice is that they will track on literally anything but glass and mirrors (although in some tests these mice have actually tracked on glass and mirrors!). We can use them on shag carpet, glossy surfaces, pitted surfaces, hair, clothing, anything at all, and more. If you want a great mouse, Microsoft actually has a great product. All computers come with what is lovingly called “bloat-ware.” This is software that people pay the manufacturer to include pre-installed from the factory. In some ways I guess it’s good because I’d like to think that the money they earn from that endeavor goes toward keeping costs lower for me, but I rather doubt it. Anyhow, the first program I highly suggest you uninstall (if it’s installed) is Norton Anti-Virus. Many computers come with it pre-installed along with an offer for a whole year or month or day of free updates. It’s not worth it. Microsoft has a free program you can download right away that does the same thing (well, roughly the same thing). To get rid of Norton (or any program, for that matter), just go to the control panel and look for “Add/Remove Programs” or something like that. Find the offender, click “uninstall,” and follow the directions. Most virus protection software will require that you restart after removing it. That’s OK.
Now, I don’t recommend you leave your computer virus-protection-free for long. It is a dangerous thing. So once you’ve finished uninstalling the crud you don’t need, make sure you immediately download the “essential” software I have listed below, in the order I’ve listed them. First though, look for any programs that say “offer” or “setup” next to them and get rid of them (still in the Add/Remove Software tool). Also, some systems (most Toshibas and HPs) come with some kind of game portal that you should get rid of. Many people will tell you to get rid of a lot more than this, but it’s not always necessary. After you’ve been using the computer for a month or so, go back to the Add/Remove Software tool and look over the list. If you recognize the program and you know you use it a lot, don’t get rid of it. If you recognize it and you know you don’t use it a lot, get rid of it (just make sure you know what it does first!). Everything else is probably OK to leave installed. Some of these are more essential than others. I’ll categorize them to simplify this. In some cases it won’t matter what program you get as long as you get something that does the job. So, if you’re ready to get started, open Internet Explorer (unless your system came with another browser pre-installed, in which case you should DEFINITELY use the other one!). Note: This list is designed for Windows users ONLY. Many of these programs are cross platform, but I’m not going to say which ones because I’m not making this list for Mac users. Sorry guys. Maybe another time. These are programs that you will need to get – almost everyone needs these programs. Right away, before downloading anything, you need virus protection! Virus Protection – Search for “Microsoft Security Essentials,” or go to http://www.microsoft.com/Security_Essentials/. Click on the big “Download Now” button, save the executable and run it. Make sure you have already removed any virus protection that shipped with your computer, then close your web browser while the program installs. Once it installs make sure it runs OK, then let it scan your system. Depending on the size of your hard drive, this can take anywhere from a few minutes to a few hours. Since this is the first thing you’re doing on your new system, everything should be clean. After it scans your system, you may proceed with this list. New Browser – DO NOT USE INTERNET EXPLORER. Sure, there are a lot of sites that require it, but I can show you how to get around that later. For now, just download one or both of the following browsers and try them out. You won’t miss Internet Explorer after a few days. I promise. My favorite is Google Chrome, but I was once a die-hard Firefox fan (I even have an embroidered FireFox shirt). They are both worlds better than IE, more secure, faster, and prettier. While I might catch some heat for this, I am going to recommend that you just get Google Chrome. It’s better. Once you’ve downloaded and selected a new browser, close Internet Explorer and never open it again (unless you really have to). Free Office Software – While there are a few options for this, my favorite (and arguably the most user friendly and robust) is OpenOffice.org. Just go to their website in your new, shiny browser, and download. It’s that easy. The installation is easy and the program operates a lot like Microsoft Office. There are some differences, but OpenOffice.org can do just about anything Microsoft Office can do, and in some cases it does it better. If you ever find that OpenOffice.org just isn’t meeting your needs, feel free to go back to the Microsoft version, but I don’t think most people will ever need to. Media Player – Windows Media Player is pretty good, but there are a lot of things it can’t handle. For everything else, there’s VLC. VLC can’t do everything, but I’ve never found a video it couldn’t play. Photo Organizer – Since most people maintain some kind of image collection (from digital cameras, web graphics, etc. ), you’ll probably want a good program to organize and lightly edit those photos. Google Picasa is a great product that is completely free and I recommend it to everyone. Those, to me, represent the bare-bones necessities for a new computer. If you get nothing else, make sure you get those things. The remainder of my list is specific to my needs and wants, based on what I want to use the computer for. If you know of other great free programs that aren’t listed here, please add them in the comments. Dropbox – This is a really cool file program. It creates a special folder that automatically backs itself up online any time you add or change files in the folder. If you install Dropbox on other computers and link them with your account, Dropbox will synchronize all of the folders across all of the computers and devices you have Dropbox installed on. I love it. Notepad ++ – If you do any web development or coding the old fashioned way (in notepad) you might want to try Notepad ++. I found this little gem several years ago and have installed it on all of my computers ever since. Skype – For video calls and VoIP, my favorite is still Skype. We’ve been using it for quite a while now and we love it. Google Talk – Actually, I didn’t download the Talk program, I installed the Video and Voice plug-in. While most of our video chats are handled over Skype, we have more friends with Google accounts than Skype accounts. With this plug-in, I can have a video call with any Google Talk contact who is also using the plug-in or the desktop client. I’ve only done it once, and it was a long time ago, but this is a valuable thing to have on standby. Google Earth – There’s nothing cooler than exploring your planet in 3D with a nearly infinitely scalable, detailed and textured model with Google Maps plastered all over it. This is as fun as it is useful. Google SketchUp – I am a bit of a 3D hobbyist, and SketchUp is a great way to rapidly visualize a model. It’s a wildly different experience from most of the 3D software I’ve used, but once I got the hang of it I realize it was easier and more intuitive than anything else I’ve ever tried. Plus, it’s free! Blender – On the subject of 3D, how does a free 3D program with advanced features sound? SketchUp may be easy and fast, but it’s not anywhere near Blender’s level. I don’t know if it’s just me, but Blender is extremely un-intuitive to learn. However, I’ve seen what it can do, and I’m impressed enough to trudge over the learning curve and figure it out. Paint.NET – If I’m going to make awesome 3D images in Blender, I’ll need software like Photoshop to make textures, composites, do touch-ups, and more. Windows Paint won’t do any of that. In fact, Paint is nearly useless. Luckily, there’s a better Paint. This program can do layers, adjustments, transparency and even some cool effects. Sure, there’s a lot that it can’t do, but it’s free. If it does what you need it to then you’ve lost nothing, right? I even made the cover for my new book entirely in Paint.NET. Inkscape – Paint.NET can handle most of my 2D needs, but it is primarily for raster images (bitmaps). For vector images, I love Inkscape. It’s relatively easy to learn, and it can handle almost anything you can dream up. GIMP – Many people believe GIMP capable of anything Photoshop can do. I don’t agree, but I do think GIMP is better than Paint.NET for more advanced jobs. A lot like Blender, I find GIMP hard to learn, but that doesn’t stop me from trying. I want to learn it so I can see how long I can live without Photoshop. Someday I’ll be rich and it won’t matter. Until then, I’ll be struggling with GIMP. WavePad – I haven’t tried this yet, but it’s a free audio editing tool that I hope will allow me to make simple audio tracks for animations or an audio book. We shall see. Once I’ve tried it, I’ll write a review (and link to it from here). VideoPad – Like WavePad, I downloaded this to see if it would be suitable for creating simple promotional or family videos. I just want to be able to cut scenes together, edit things out and add simple effects. If this program is a winner, I’ll write a review. I hope this helped. As I use my system and learn more about what programs are meeting my needs and which ones I don’t have that could help, I may modify this list. I’m 100% sure of all of the hardware tips though, as well as the “essential software” bit. The important thing to remember is that there are hundreds of thousands of free programs out there that you can find that will do the same things that more expensive software can do. Look to the free stuff first, and if it doesn’t work out, pay for what you need. I was feeling a bit nostalgic today, remembering such classic cartoons as “Darkwing Duck,” “Talespin,” and others with some of my peers. Perhaps that’s why I was taken back to my catalog junkie days. That’s right, I was a catalog junkie. I used to regularly receive catalogs from several computer and software companies (junk-mail in my parents’ eyes), in addition to flipping through the big Sears catalog my mother would get. Those technology catalogs were my favorite though, and I learned a lot from them. For example, I knew all the fastest CPU speeds, how much RAM was being put in the high-end machines, and how big one could possibly get a hard drive. I noticed when the first floppy-drive-less computers began shipping, and realized that the minuscule storage on those things would prevent them from being missed. Perhaps my favorite pastime from the catalog days was clipping or highlighting all of the components of my dream setup. I would find the most powerful graphics computer, clip it out and put it in a box or a folder. Then I would go find software that looked interesting for doing what I wanted to do, or supplemental hardware. I was in love with the 3D animations that had begun to get big and was convinced that I would become a 3D animator for movies and special effects. I found out about programs like Lightwave and 3D Studio Max. I learned that Photoshop was used to create textures and backdrops. I began learning which programs were low-end and which ones were being used to create professional work. Eventually I had quite a collection. My collection of clippings evolved from technology alone to everything I wanted in life. There was this really cool computer desk that I wanted from the Sears catalog, as well as an entertainment center with doors that hid the TV. I even fell in love for one of the first times going through a catalog. It was the Sears catalog, and I found her in the teen clothing section. I remember at the time I had a little crush on Anna Chlumsky from the movie My Girl. Her beauty was by far outshone by the mystery girl I found in the catalog. I am embarrassed to add that she was modeling underwear. Honestly, I don’t remember caring about the underwear (it wasn’t lingerie, it was like a sports bra or a trainer bra or something). I stared at her warm face and immaculate hair for hours on end, barely noticing the rest of her. I thought she had the most perfect eyes, the most beautiful smile… I was truly in love. I gazed so deeply into the image that I became irritated with how poorly images were reproduced in print products. I wanted a larger, clearer view of her gorgeous face (the whole clipping was only a few inches across). I often returned to the children’s section of the Sears catalog to see if she would come back, but alas I never saw her again. Several years later, just at the very beginning of my college adventures, I went to the Sears website and the rest of the web doing extensive searches in an attempt to find out who that girl might have been. I had a time frame, I knew the catalog month (but have since forgotten), I searched for several days. My efforts were to no avail. She was lost forever. Even my beloved clipping had disappeared and all I was left with was a memory. Luckily, I met my wife shortly thereafter. That’s not why I wrote though. I am writing because I have been realizing over the last few months that one of my childhood dreams has remained alive within me (among others – they must have set up some kind of a refugee camp or something though, because the majority of my childhood dreams have long since been CRUSHED). In those catalog days, crouching over several copies of “PC Warehouse” at once, pondering the possibilities, I used to dream that one day I would have a family of my own (check, that one came true) and produce periodic family videos (using the cool stuff in the catalogs) that would have subtle, sporadic special effects sprinkled in (just to make them a little more fun). I had seen many home videos that were boring. If my family was going to make video of itself, it would need a little extra something. Some of the ideas for CG (computer generated) additions to my home movies were things like a video of the children playing in the front yard, and in the background something crashes down from space into the house, causing an explosion (which the kids would ignore, of course, seeing as how they’re playing) and a giant robot or monster would come out of the rubble and crash around. I even thought it would be fun to have the kids participate, with me telling them to freak out and run at a certain time. Another idea was to have a video of one of the children’s rooms and have a doll or toy of his come to life in the background, dancing around and playing until the kid looks back at it. At the time such ideas were the stuff Hollywood special effects artists were only beginning to get good at. Now, the tools exist for all of us; and anyone with the money to spare, the time to invest, and the skill to learn can do it. I’ve got the skills, I only lack the time and money (for now). Eventually, if I ever get that time and money, I still want to produce my own video. Home videos, perhaps a podcast/internet show, maybe some short films… I don’t know. The possibilities are endless. I wouldn’t want to make it a career, but as a hobby I could have a lot of fun with it. I even think my wife would love participating both in front of and behind the camera. So, in advanced preparation for such a day, I am going to assemble and maintain a list of items to buy. I will assemble that list here and when I have a specific product, I will link to it and include it in a special list at metawishlist.com, so if you want to donate thousands of dollars to my cause, feel free. The metawishlist keeps a running total of how much everything in the list would cost together (as of right now, over $12,000 not including the computer). * I probably won’t link to one specific system because the “best” system specifications change almost daily. If we ever really do this, I would simply look for the most powerful computer system available in the $2,000 – $6,000 range from a hardware manufacturer I trust. ** Adobe has ONE package called Creative Suite 3 Production Premium which contains all of the (starred**) items plus a few extras for a really great price. That just about does it for now. If you have any suggestions for items on the list that are missing, better products than the ones I link to, or product suggestions for items I don’t have product for, feel free to leave a comment. Thanks! I love future technology, and I try to follow current trends in the tech world. I follow what is happening, and (to the best of my ability) what is about to happen. Sometimes, I get good ideas; and this is one of them. Though I see this as simply a “good idea,” I’d like to think that it is also the inevitable outcome and product of current activities, trends and technological advancements. I’m unsure how it will be implemented, but we’ll talk about that later. There are several options, all of which are viable and possible; but it won’t make much sense to talk about implementation before describing WHAT we’d be implementing. So, how to describe this… This is the blending of cellular phones, the internet, commerce, personal data assistants, data management and social networking – all in one, easy-to-use, neat, customizable and (hopefully) open source web application. So, now that we have it outlined (details will follow), let’s talk about implementation. The thing is this: It is an internet suit, dependent on internet functionality; but I think it would be all you should need on a cellphone handset. So, most likely the cellphone would not be a “cellphone” but rather an internet access device, about the size of a cellphone, and with the main purpose of accessing and interacting with the features of the site I will describe below. Because of this, you would also be able to access the site and do everything you can do with your “cellphone” (that little internet device I described above) from any computer (preferably equipped with speakers and a microphone). On to the site. What will it be like? The features I am about to describe are all existent today in one form or another, but many of them have not been successfully married together by anyone. And NOWHERE (that I am aware of) are all of these features found in one place, especially not with a cell-like device as I expect it will be some day. Yes, even though I describe this as a future idea, the fact is somebody else has probably already begun creating something like it. I know European cellphone services are beginning to resemble some of this, but NOBODY has it all… yet. I believe it will happen soon though, perhaps in five or ten years. Basically, from here it becomes a little like an address/contact list/book. In stead of having all of the profiles you want linked to you as “friends,” you could put them in “circles,” or categories. Depending on the category, the group/individual will have more or less access to your personal information. Some sample “circles” could be as follows: Friends, close friends, family, coworkers, schoolmates, church/club members, neighbors, services, businesses, etc. So, you would search for a listing (your friend’s name or the business name/phone number/address) and then drag them into a circle or into several circles (or, in a less “touchy” interface, you would check boxes by the “circle” names) and they would be saved in those circles. Maybe you look up a close classmate, who also happens to live by you, and you are good friends with him/her. So, you look up their name, let’s say “John Doe.” (I know, cliché, right?) John Doe’s EXTREMELY basic profile would appear showing his name, maybe a photo, and any other information he chooses to show everybody at his discretion. Then you would check boxes by the circle name(s) you want him to be a part of (or, in our ultra-cool iPhone-esque scenario, you would drag his photo onto each label, one at a time). Each circle would have a different level of security associated with it, and thus you would only be able to add him to some categories with his approval (like doing a friend add in Facebook). Each circle represents the relationship you have with this person. Some relationships are very simple, and thus you do not need access too much of the individual’s personal information, but you still might need to have them in your contact list. So, you add John Doe to each circle. Let’s start with classmate and neighbor, which are similar relationships. For this, each individual sets preferences for how they want them handled (depending on how secretive, paranoid and/or protective of personal information they are). Let’s say John allows people to add him as a neighbor and/or classmate without him having to approve it, but the only privileges associated with this relationship with John are the ability to send text messages and make phone calls. Or maybe classmates are only allowed to send text messages to John through the service, but neighbors are permitted to make phone calls and send text messages. As for the “friend” relationship, John has set his security preferences to prevent people from adding him as a friend without his permission, so after adding him to these three categories, he will only show up with basic contact capabilities in your address book in the classmate and neighbor circles until he approves your request to add him as a friend, at which time you will have as much access as he deems necessary for his friends, and you will be able to see his full profile. Don’t worry though, you don’t have to wait until he logs into the internet – a text message is sent to him immediately, notifying him that you are waiting. Now, remember that this service is married to your cellphone? Because it’s an internet service, the phone calls are handled as voice over IP (VoIP), and thus video conferencing will be possible too (though the handsets might be a little awkward for this, it’s not unfathomable). The text messages would not be limited in size, thus they could be considered full messages or even e-mails and would be received into an “inbox”. As for the text message you sent him… Social networks are difficult and slightly annoying for some people. They can’t be scheduled, they can get very involved and if you’re always carrying it around with you, you’d probably get interrupted a lot unless you just turn it on and off throughout the day, right? Check this out – like an instant messenger (oh, did I mention the service includes IM? It does) you can set your status. And in case you’re worried you might forget to set your status to busy or unavailable, this service is combined with your schedule. You tell it when you’re in class, at work, in meetings, in church, etc., and it keeps silent during those times – you can even tell it to stay quiet for another ten minutes or so (you set the time) after the scheduled event, just in case the meeting goes a little late, or class lets out late. And if the future is as cool as I hope it will be, you won’t even have to worry about inputting your own schedule. When you get a new job, register for school classes or even arrive at church or the movie theater, the local computer system will automatically connect with your profile and either input the new scheduling information (work will send your weekly schedule to your cell service, which you will be able to view online and on your phone, AND the schedule work sends you will include phone quiet times and break times so you don’t have to set your status – it’s in the schedule), or the church or movie theater will detect that you’ve entered their facilities, and change your status to quiet mode (busy, unavailable, etc.). If you have some kind of urgent, pending business, you can make that known on your profile and even the museum’s computers will understand that certain contacts (which you associate with the emergency situation, like your spouse or the police) will still need to be able to get through to you. OK, just two more main features before I wrap up by quickly describing the interface. Part of the aforementioned functions are facilitated by the actual device’s global positioning system capabilities. The system learns the device’s physical location by way of GPS, and this information becomes part of your profile, and is updated in real time while you are logged in with a GPS enabled device. The main service includes mapping capabilities, to display this information. It shows the locations of everything in your contact list on that map. Some relationships or circles will limit the ability to see the location of particular profiles (based on security preferences), but any business you have listed will show up, and the map will provide directions to anything you see on the map. Finally, the service will include a function similar to that of PayPal. You can transfer money to anyone in your contacts, from any circle, without exchanging banking information. The hand held device will function like a credit card or bank card allowing you to make purchases at stores, and the online service will allow you to transfer money to businesses with which you conduct online transactions. Even donations will be handled in this fashion. Basically, just imagine if Facebook, Skype, PayPal, Google (Gmail, Google Maps, Google Docs, Google Calendar, etc. ), and a high speed wireless internet service provider (like WiMax) all merged together and started a cellphone service. This is what you’d end up with, and I think that the popularity, functionality and practicality of these services point to one thing – they’ll all be the same thing in the near future. The service’s main page when you log in will be very customizable. I am hoping that this will be an open source project, and third party applications will be a large part of it (like here, at Facebook), allowing users to add widgets, gizmos and applications to their profile and homepage as well as adding additional functionality to the phone. Similar to Facebook’s home page, there will be news feeds, that you can customize, from your family, friends and business contacts, as well as actual news items, weather, etc. Businesses you save in your business circle will display small ads and special offers for you for items and services you would be interested in. You can customize the look of the page with colors and images or even your own coded formatting through CSS, HTML, or whatever else you like. At the top of the page there will be tabs. You can create your own to hold content you chose, and there will be tabs for your favorite circles. Each one will have specialized news feeds from the contacts in them, and you will be able to view these contacts and their profile pages through the navigation tools. Contacts can be ordered by time you’ve known them, distance from you, alphabetical order, how often you have contact (phone calls, text messages, etc.) with them, and even preference (who you like the most, which business/restaurant you like more, etc.). Placing a call would be as simple as selecting the contact and pushing the “call” button. There would be a video call button, a send message button, a send photos or files button and perhaps (though third party applications) other buttons could be added as well for interaction with your contacts (anyone up for a good poke fight?). The actual hardware would HAVE to use OLEDs to save battery power and provide richer images. There would be a speaker, microphone, jack for external components (maybe), bluetooth and other wireless connectivity, USB (or whatever else we’re using then) for a keyboard or something, a multi-touch screen big enough to actually read all that stuff people write on their profiles but not so big you can’t carry it around with you, a camera hidden behind the screen for natural face to face video conferencing, and a couple other things like battery charging accommodations (though that might be wireless too by then) and an on/off mechanism (though you probably won’t use it all that often). It would need to be small enough to fit in a pocket, but not too small. Data entry could be through a slide-out keyboard, on-screen keyboard or even through speech-to-text technology (which is getting better every day). The internet site that runs your phone might be reformatted to fit the smaller screen, ditching some things to save space and make it fit. When viewed online from a larger screen, this would not be an issue, and the site would have no limitations. The free account would include a profile and all networking functionality. If anything were to be charged, it would be a monthly fee to have high quality VoIP calls with video, though I don’t know why a free subscription couldn’t offer the same VoIP that Google Talk offers today for free. If all goes well, when you sign up for this service, you should be able to tell it the URL and login information of a social networking site you’ve already been using (such as MySpace or Facebook), and it will go in and import all of that hard work you’ve already done there into this new service. That way you won’t have to enter all that personal information AGAIN! After all, who wants to type out all of their favorite music and interests for ANOTHER social networking site? Not me! One of the coolest features of a service like this would have to be the ability to share your handset. Say you have a friend who signed up and got a profile, but didn’t buy the phone, and he wants to call his mother. You can hand him your phone and he can log on to the site through password verification just like we do on any other social networking or banking site today. He uses your phone as though it were his own, then logs off and you log back on. It’s that easy. Finally, and I know you’re about to give me the”run-on sentence-king” award and “diarrhea-of-the-mouth” award, I truly do believe that this is all just a couple years away, once someone decides to do it. There are patents to be considered, as well as the availability of high speed wireless internet connections, but overcoming those hurdles, this service is already available, you just have to piece it together and make them talk to each other. If anyone out there is interested in actually doing this, and they have the ability to get things done (find programmers, designers, engineers, manufacturers, web hosts, etc. ), I don’t mind if you steal my ideas. First of all, they probably aren’t unique, and second of all, I think it’s going to happen whether I do it or not. The only thing I ask in return for taking my idea isn’t credit, but a piece of the pie. Not a percentage of the earnings, but a handset! I just want to be able to use the service I’ve dreamed up without having to pay for it. Is that too much to ask? I think not! Happy dreaming, and until next time.